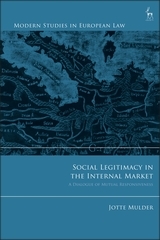 This book is concerned with the social legitimacy of internal market law. What does social legitimacy entail within the multi-level 'embedded liberalism' construction of the internal market? How can the objectives of the internal market that focus on economic rights and a commitment to social diversity both be pursued without one necessarily trumping the other? These questions continue to challenge the very core of European integration. How can the diversity of Member States' 'social systems' and the varying normative infrastructure of their economies be sustainably accommodated within the internal market? This book seeks to contribute to these questions by discussing what has come to be known as the argument from transnational effects and the development of an adjudicative model for the European Court of Justice that can be termed 'socially responsive'. 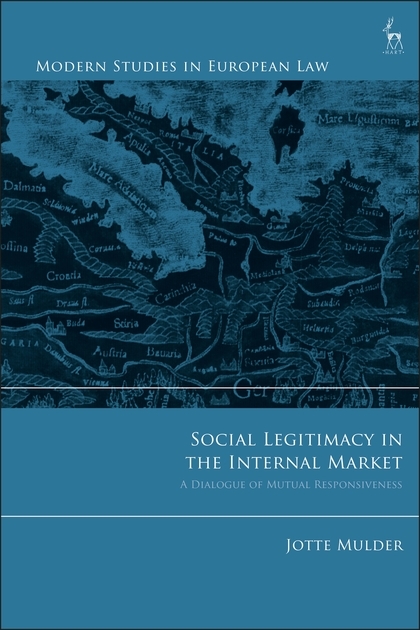 Drawing on the historical insights of Karl Polanyi it argues that the internal market can only be held to be socially legitimate where it supports the requirement for further market integration while still responding to social practices and values within the member states. The book presents in-depth studies of the case law of the Court in the areas of EU free movement, competition and state aid law. In so doing, this important new study aims to provide the language and tools for assessing social legitimacy in the internal market. Jotte Mulder is an Assistant Professor at the Europa Institute, at the University of Utrecht.